Thailand has been a highly interesting market for in the field of laboratories and pharmaceutical industry on long term basis. Stable economic environment, on-going modernization of laboratories and pharmaceutical industry and increasing demand for high-quality goods in combination with two experienced and active local resellers – that brings us new references, the reputation of a high-quality manufacturer and gradual sales increase. Approximately 40 of our large-volume steam sterilizers Sterivap® and Unisteri® as well as several hundred driers and incubators are already in operation in various laboratories and pharmaceutical companies in Thailand. But it is necessary to mention an exceptional success in that market – the sales of already the third VENTICELL® IL device, designed for de-pyrogenisation of materials in medicaments and vaccines production. At the present time, sales of 3 pcs of the VENTICELL® IL device in one country is a really unique situation, even though the devices have already been supplied to Czech market as well as to England, Mexico and Russia. After the first success in Thailand connected with chamber with the volume of 700 litres for manufacture of veterinary preparations in Nakhorn Ratassima, we obtained a second order from a leading pharmaceutical company - A.N.B., with its headquarters in Bangkok, regarding supply of the largest device with the chamber volume of 3 900 litres. We were successful in that company even in second selection proceedings and just before last Christmas the experts from A.N.B. 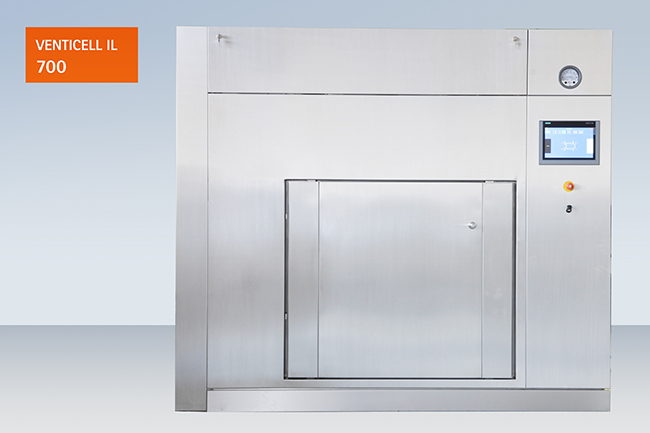 participated in trouble-free FAT of another VENTICELL® IL device, this time with the chamber volume of 700 litres. The device has been dispatched to the client at the beginning of this year.